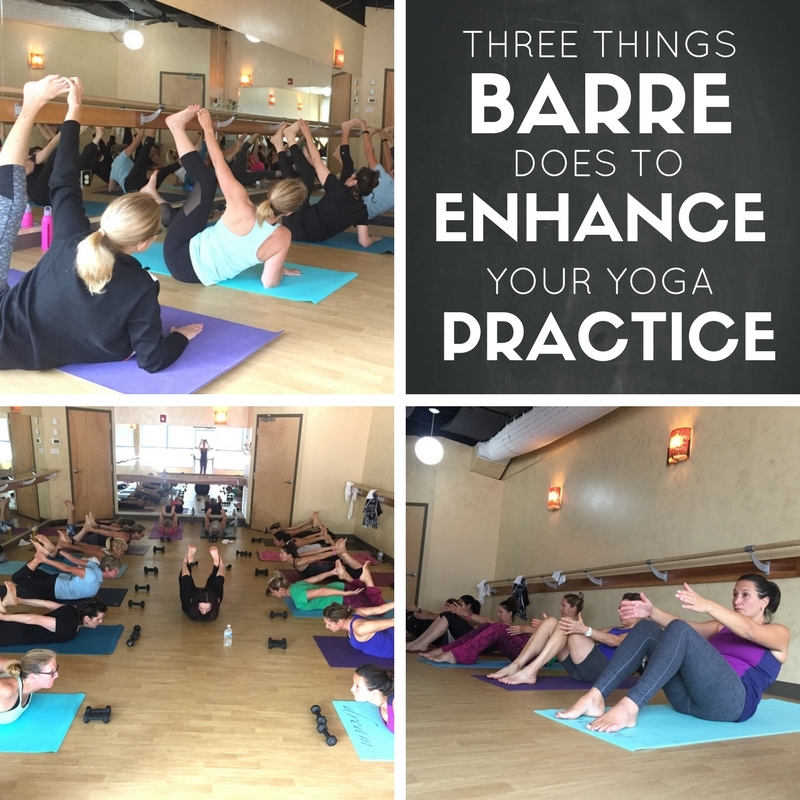 You love your yoga practice–why would you want to add barre? Don’t worry, you don’t have to get your leg up on the barre, and no one will ask you to learn choreography. But several things will happen! You’ll build strength and mobility in ways that are complementary to yoga. While yoga practices often emphasize lengthening the hamstrings and calves and opening the hips, barre emphasizes strengthening the glutes, hamstrings, calves, and all the deep hip muscles. This prevents injury and hypermobility (and also happens to lift your backside). Yes, your deep transverse, your waist-making obliques, and your six-pack rectus will all be strengthened creatively and progressively (no crunches–all fun). Your yoga practice will feel floatier and your balance will improve. Practicing inversions and arm balances will be within reach as you strengthen your arms with both pushing and pulling movements. You wouldn’t ask someone else to go from 0 to 140 in the amount of weight they can lift, right? So gradually develop your ability to hold your full body weight upside down. We use weights, planks, and push-ups (ranging from plank with knees down to advanced one-arm GI Janes). You aren’t limited to tiny weights and no dance experience is required. It’s not about how it looks– instead, find out how you feel as you get strong in Barre class! Chagrin Yoga offers barre six days a week, taught by four different experienced and certified teachers. We’re also offering a 25-hour Barre Teacher Training program coming up January, 20, 21 & 27 from 8:30 – 5pm. This training is great for Barre enthusiasts and yoga teachers looking to take their practice and teaching to the next level. For more information and to register, click here.